If you made an important decision to get rid of unnecessary things from your house or yard, then you need to prepare for the arrival of a special service. First of all, as in any other case, you should think about your own safety. First you should correctly estimate the area of your yard or plot. Regardless of the amount of things you want to get rid of, and the size of your yard, you will need to prepare for the arrival of the service a flat and uncluttered site. Take care that your car is not in the way of the service’s trucks. If you plan to take your things out into the yard, try putting them not on the bare ground, but on stable wooden boards. This will help you to avoid dipping your things into the ground and will not spoil the look of your lawn. If you live, for example, in a tenement house, then you should inform about that the service, which will take your things. This is due to the fact that they are likely to need additional equipment such as signal lights, as well as permit for large vehicles in certain places. Remember that the driver of the service comes on a large-sized car and you should be extremely careful when he arrives. Please keep under control the movement of your pets and children to avoid accidents. Everyone knows, for example, that dogs tend to bark at passing cars or run after them, so be alert and do not let your pets out while the service is running. As soon as the service personnel load your things into the truck, do not try to move them yourself. This is primarily due to your safety, because heavy things can fall on you from above and cause harm to health. In addition, employees of the service record how your things were shipped, and if someone changes their location, it will make illegal their unloading and processing in the future. Do not be surprised, but many people are just trying to load their belongings into the container or truck body, throwing them in the air! Definitely, throwing heavy objects – this is not the safest thing to do. So you can accidentally please someone in the head, break a window or just damage the thing you throw. At a minimum, you have to take the time to sweep the remnants of a broken thing and as a maximum – long to apologize to someone you accidentally hit. Also remember that you should not hesitate to seek help if you need to lift heavy objects. You can tear your back if you are eager alone. Among other things, be responsible and do not forget to report that your waste is dangerous. There are special rules for the movement of such goods and if you do not talk about it, it can create a danger to the environment and human health. Besides, it will be just illegal. Also do not ship more things than is prescribed by the recommendations. This will make the load unstable and making it unsafe transportation. 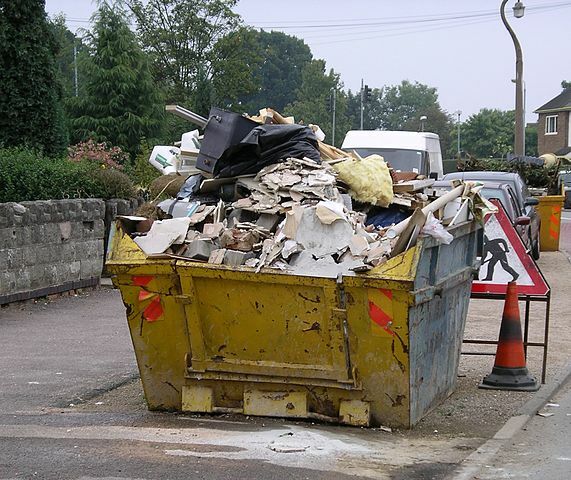 If you carefully read the information outlined in this article and are ready to follow our simple recommendations, then you can call the skip service and finally rid yourself of unnecessary things that you have bothered. F. Aldea is a freelance publisher and foodie whose work has been highlighted in personal blogs, websites, publications, and TV advertisements.